This time of year in Northern California, you can walk around in neighborhoods and see big trees that have lost their leaves but are full of beautiful orange fruit. 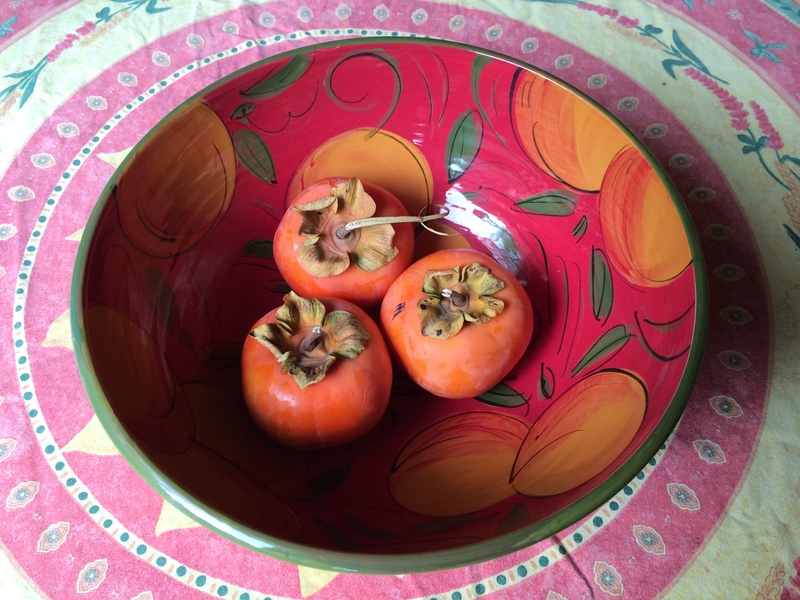 These are persimmons and they are prolific trees that produce with abundance each year. 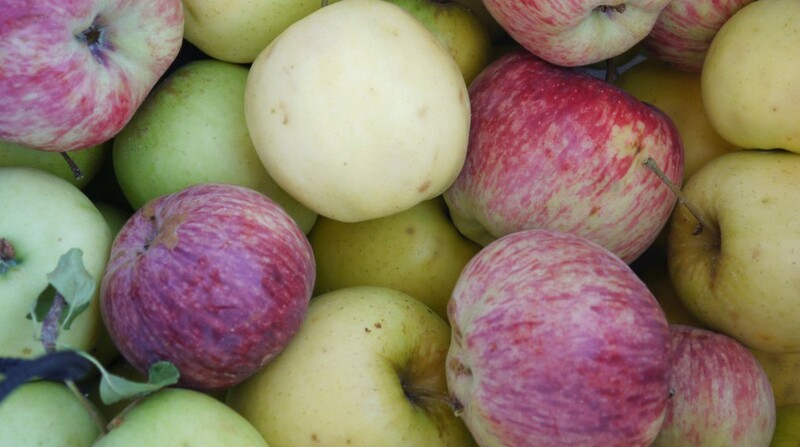 There are two major kinds: fuyu, which are eaten when they are hard like an apple, and hachiya, which need to get very very soft to be used. The trees are beautiful but the fruit doesn’t have as many fans as you might think. 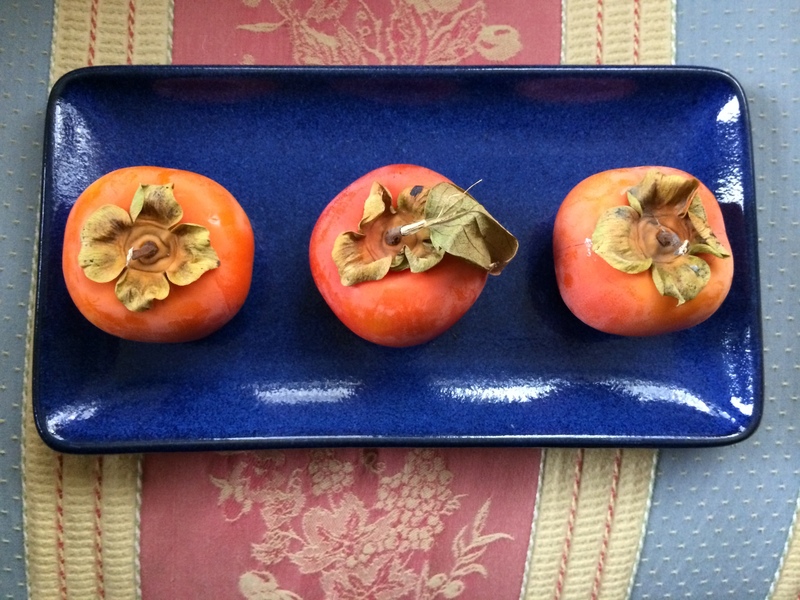 Generally, people aren’t sure what to do with persimmons. A friend dropped by a bag of fuyus for me the other day so I got to experimenting in the kitchen. They are terrific with cheese on an appetizer plate. 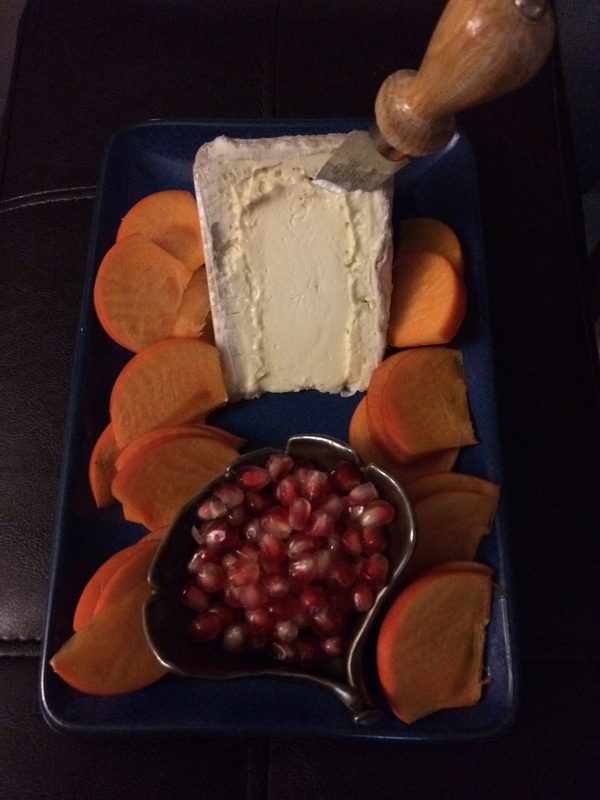 Here they are paired them with pomegranate seeds and a triple creme cheese – delicious! Salads are another place for persimmons to star. Toss one thinly sliced fuyu with butter lettuce, candied walnuts and creamy goat cheese in a lemon vinaigrette. They are also good in this double kale salad – use your favorite roasted kale recipe to create the crisp shards for the topping. 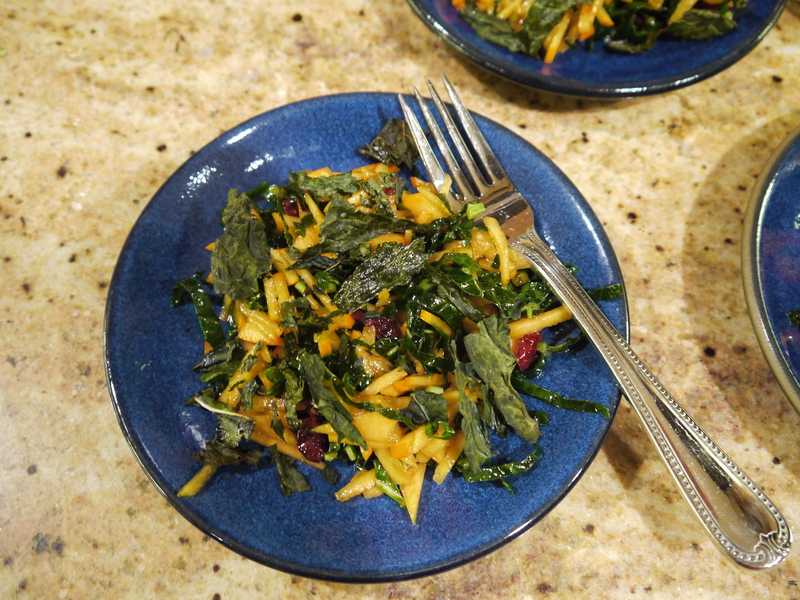 1.Toss fresh kale, cranberries and persimmons in a large bowl until mixed. 2. 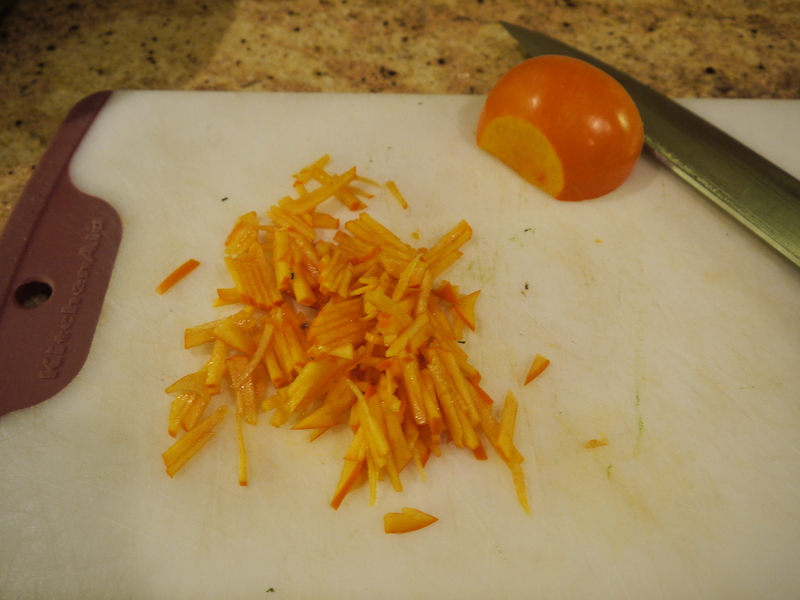 Make dressing: put vinegar in a small bowl and gradually whisk in oils. Season with salt and pepper. 3. Toss salad with just enough dressing to coat all the pieces. 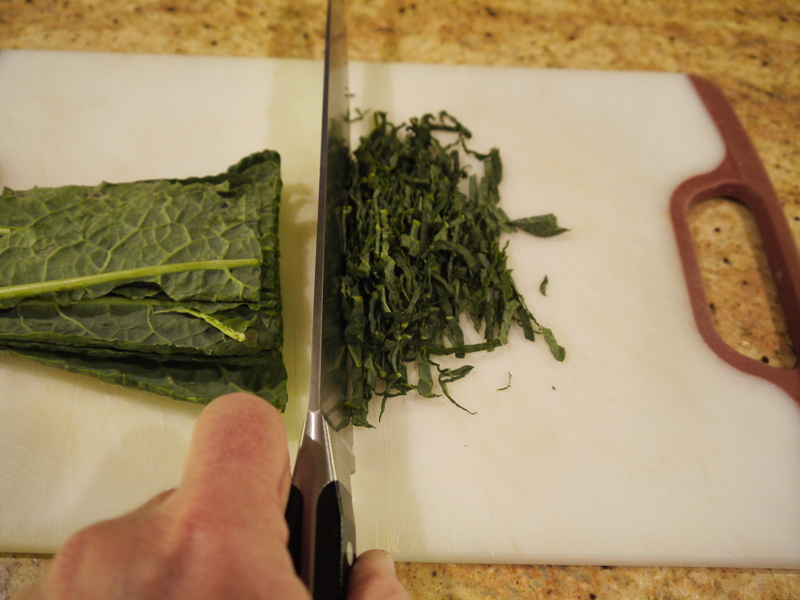 Distribute salad between 4 plates and top with the kale chips. Serve immediately.